It can be hard to keep the discipline and following your plan before your mind starts playing tricks and you start to come up with all sorts of excuses. 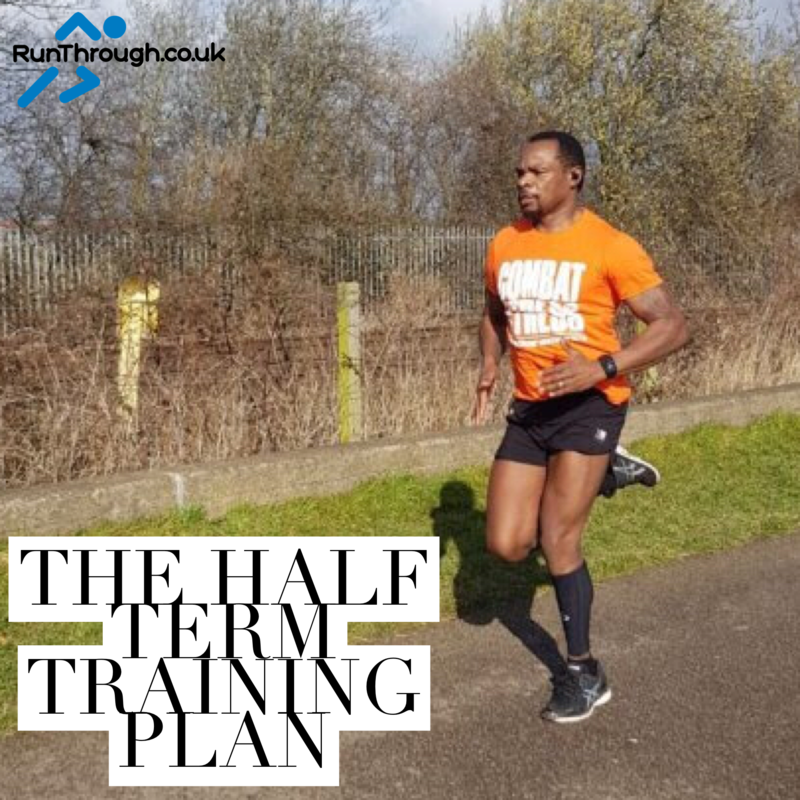 Here is how I juggled the kids school half term break and my running – it’s not easy, but with a solid plan and motivation high here’s how my week went! Happy days we all just chilled out as l was recovering from a 22.5Km long run the day before. l had to change my plan slightly by completing a 5k interval training session. Taking advantage of the time I had and fitting in a quick session. Sometimes the unplanned runs are the best! Weather conditions were not ideal but the training had to go ahead. The run was really fun as my daughter joined me for about 2k as it was a steady jog. Managed to complete the run in 28:04mins. Went straight into it. My kids were cheering me on every 2.5k point as l passed them and being passed a gel at the 7k point. This made the run all fun, l had to stick to the plan. Twice l kept hearing that sound that No runner wants to hear coming through their headphones “TRY AND CATCH UP, YOU ARE NOW 2ND”. It was that time to kick and surge forward with my pace. Managed to complete the run in 1:00:05. It’s important to remember to rest and recover, but it is also pretty darn hard to fit a run in everyday especially with the kids to keep entertained! For me this had to be a really steady jog as I was racing the next day and I was also joined by my daughter as she was running her first Park run. It was awesome as she completed the 5k run in 32:19 & l followed on at 32:20. It definitely helps to have kids interested in running and wanting to be involved! 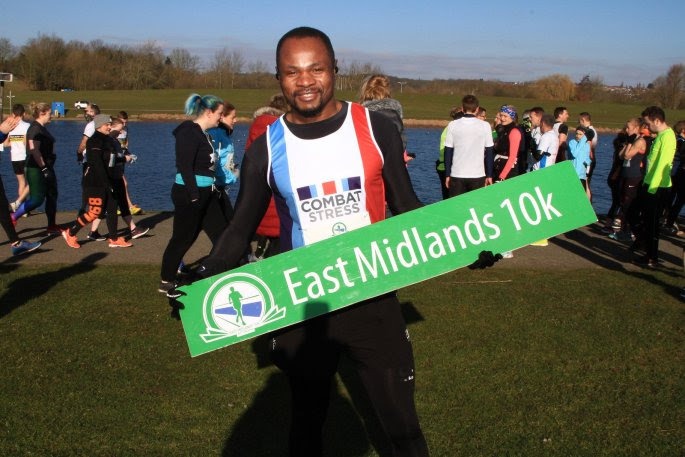 Yes it was the day of the East Midlands 10k. Getting on the start line thinking of my last 10k PB which stood at 43:08 from 2017. No complaints there, the course was flat but there was a terrible head wind from 2k to 3k and found myself running at 4:19min/km. I did not want to burn out too quick so l settled for that pace. l managed to pick up the pace from 6K onwards running at 3:55min/km until the end. I don’t regret my decision as l was battling the conditions like everyone else. l gave it my all on the last 4K to smash my previous PB with a time of 40:49. Marathon training is surely paying off!! This routine may not work for you and is completely dependent on your family circumstances, work commitments and many other factors that mean life can quite easily get in the way of maintaining a running routine! Whether you have 20 minutes to fit in a run or an hour, make it count. If it’s meant to be a fast run make it fast, push yourself. If you have planned a long run and the time allows don’t let things get into your head and stop you from completing the distance. Let’s face it we often plan out scenarios in our head that can be far from realistic and although we may dream of running every morning before 7am, is that really realistic? Whatever you plan make it achievable otherwise you are setting yourself up to fail and that motivation wont hang around for long! If you can get up and out early, you are less likely to have distractions and let the day carry you away. When things are structured it is much easier to make sure they happen – try to make a rough plan with work, family commitments and running all in one with some time to buffer around each thing. If you can keep a spare pair of trainers and some kit at work it can make it a lot easier to fit a run in on your lunch break or run home from work with less planning required. Remember one missed run, or a run cut short or a change to your plan isn’t the end of the world and in the bigger picture wont affect your overall training. Just do what you can when you can and as long as you are enjoying it that is all that really matters!